70 Songs — High by Johannes Brahms. 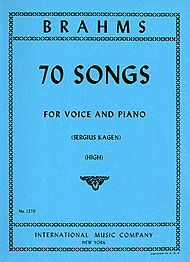 Edited by Sergius Kagen. 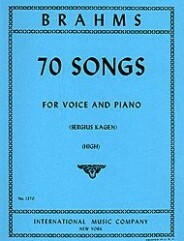 For high voice and piano (high voice). Language: German and English. Published by International Music Company (1270). With Language: German and English.